Have you fallen into the trap of writing music that only YOU love? Nothing wrong with loving your own music, but it’s a tough and lonely world when you’re the only one who wants to listen to it. 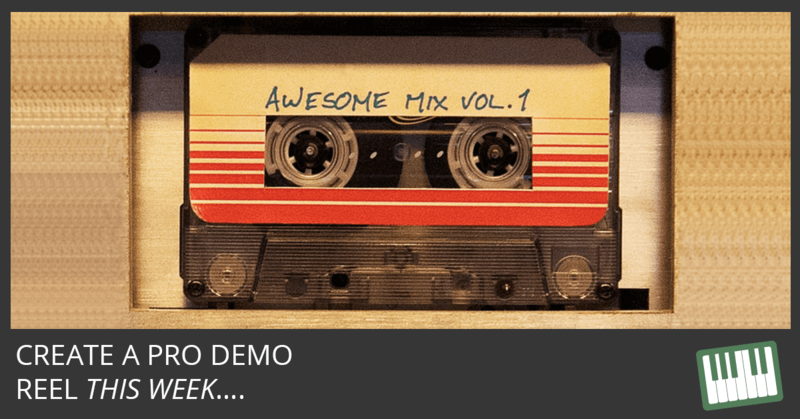 How would it transform your art if you had a high-quality demo reel of music to share? Get more listeners and fans. Maybe get a writing or producing gig for the very first time. Or perhaps put it on your site to share and build credibility. And what if you could have it ready to go by the end of the week? Here’s a complete plan to get you up and moving fast… whether it’s your 1st or your 21st track. This is simple. First, check your current tracks and pick your top shelf stuff. If it’s debatable, don’t use it. Organize those tracks by mode. Here’s my priceless mode chart. Also, list the tempos of your tracks and go for a wide range. The point is to keep it simple so you get it done fast. There’s nothing to prove here, except that you can create good quality sounds. This is the first section of your song. Start with the root chord. If you’re writing a song a G Mixolydian, start with a G chord. Keep the harmony of this section simple. Either stick with one chord or add a second chord. It can be 8-16 bars long but no longer. Don’t worry about getting it perfect, just make it sound acceptable for now. Don’t even worry about writing a melody yet. TIP: In the Logic Pro X piano roll editor, you can quantize the scale to a particular mode. This is the second section of your song. Start with something other than the root chord. For example, if you’re writing in G Mixolydian, start on the F or C chord. Make the harmony of this section contrast the first section. The beat can stay the same, but the harmony should change. Use my Power Progressions to give you ideas. If you’re new to writing music, keep your melody simple. Whole notes will do. Just pick a chord tone and use a melodic instrument to play it. Spend no more than 15-30 minutes sweating the details. If you’ve kept things simple, this shouldn’t be difficult. In fact, that’s why you keep things simple, so you can complete it quickly. Working composers don’t labor over the details, they make quick decisions and move on. Get a good balance to your 8 tracks. We kept the track count to a minimum to make this step easier. Melody and drums will be the loudest elements. Guitars and keyboards should be quieter. Make sure nothing is interfering or fighting for attention with the melody. When you’re ready, share it to SoundCloud and post it on your site. Oh, and share it with me and I’ll promote it on the Logic Studio Training SoundCloud playlist. Tips like this and significantly more are covered in Music Producer Lab. You’ll be surprised how well this works. It only takes 30 seconds to a minute of music to give the world a teaser of what you’re working on. They’ll be curious to see what you can do next. And you can do this each and every week! 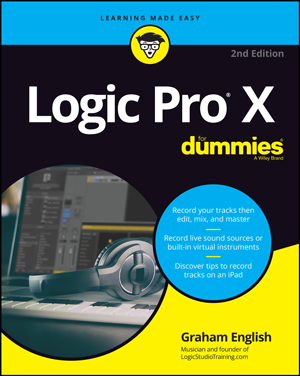 In Music Producer Lab, you get Logic Pro templates to use throughout the week. Each template has several ideas for you to try out on your own music. I hope to see on the next Music Producer Lab Webinar!